David Roche, MD of Roche Injury Clinic has won an award for Rehabilitation Facility of the year. 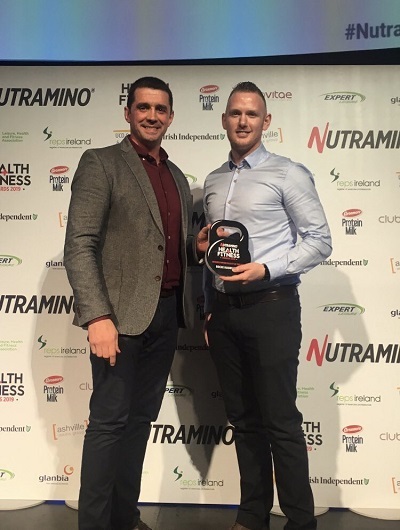 The award looked at every Physiotherapy clinic in Ireland working at the highest level of sports and reviews from general public. In three years the clinic has grown from one member of staff in one room to five members of staff working in a brand new multi treatment room, rehab wing and brand new performance centre. David regularly works with the Irish National Athletics Teams both internationally and at home covering junior to Olympic levels. David completed his BSc in Sport Rehabilitation at Salford University, he has also gained a masters in Sports Medicine and has specialist Strength & Conditioning certifications. David use the knowledge gained from his Sport Rehabilitation degree for his work with elite athletes to rehab them back to pain free lives. The award criteria looked at how a business grows, innovation, maintaining growth and growing further. Roche Injury Clinic demonstrated rapid growth through opening the new space in a short time. They invested in testing equipment and treat pre and post- surgery ACL, Mencius, shoulder and other types of surgeries. The shortlist was determined by health professionals and CEOs of Olympic councils in Ireland based on staff credentials, the facilities offered, results in their field and more. 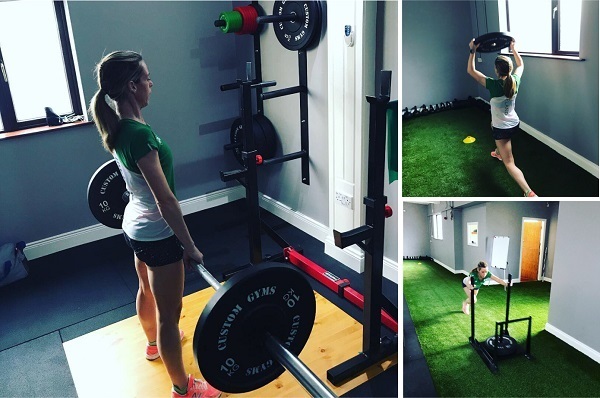 "Young athletes from all sports, Olympic level athletes, top GAA players and professional footballers travel to our facility for treatment and injury rehabilitation for lengthy periods of time. We offer an extremely high level of treatment and in-depth injury rehab exercises that are specific to each person we treat. We are passionate about our patients’ goals and help them back to a pain free life and previously high sporting levels." “It’s an incredible honour to win such a prestigious National award like this and it only strengthens our commitment to helping all our patients." 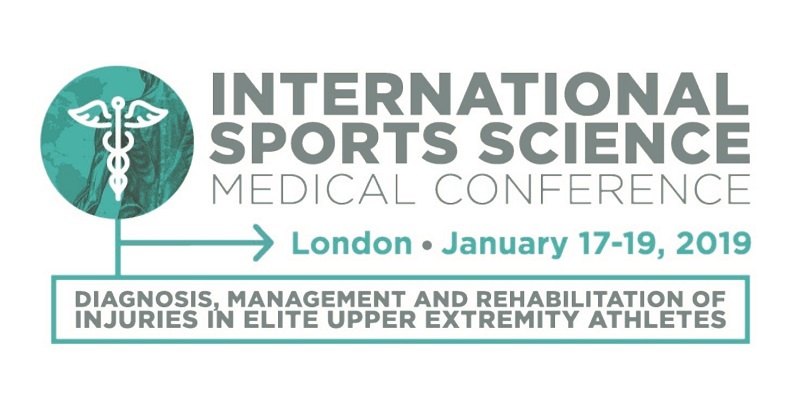 We are excited to be supporting the first International Conference on Upper Extremity Injuries. Take a look at the leaflet link below and book now, the conference takes place in London from 17th to 19th of January. If you are interested in exhibiting at this event the please get in touch. Diagnosis, Management and Rehabilitation of Injuries in elite upper extremity injuries. Over 18 up to-the-minute presentations and 7 relevant breakout sessions on diagnosis, management and rehab. In older adults, poor muscle strength increases the risk of a fall by 76%. Strengthening and balance activities help to prevent this and also help improve mood, sleeping patterns, increase energy levels and reduce the risk of an early death. "Equal weighting is needed for activities that boost muscle and bone strength and improve balance rather than simply focusing on aerobic exercise. There is significant potential to make health savings if we promote muscle strengthening and balance activities to keep people healthy and independent for longer, particularly as they age."" Falls are responsible for 95% of all hip fractures, costing the NHS over £1 billion a year. For employers and the economy, musculoskeletal health conditions are the second most common cause of sickness absence in the UK, accounting for 30.8 million days lost in work. 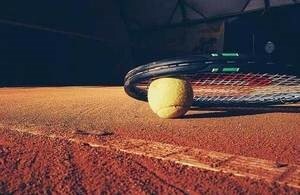 By building on aerobic activities such as brisk walking, strengthening and balance activities such as dancing or tennis can help adults to prevent these health problems and enjoy ageing well. Exciting new role for BASRaT Committee member. BASRaT is delighted to announce the appointment of Oliver Coburn as Registrar today. The role will be expanded to oversee all membership applications, alongside managing internal administration processes and ensuring best practice. As registrar, Oliver will work with members to help with professional standards and CPD. The role will monitor Fitness to Practice processes to ensure transparency and robust regulation, develop regulatory processes and manage BASRaT’s annual accreditation with the Professional Standards Authority. Oliver has worked for BASRaT for over four years as BASRaT Administrator and previously graduated from Salford University with a first class BSc in Sport Rehabilitation, he has since gained an MSc in Public Health. Oliver will also continue to see clients at his Sport Rehabilitation practice in a new, purpose-built facility in Cheshire. Oliver takes over from Colin Johnson as Registrar. BASRaT would like to thank Colin Johnson for all his hard work in this role, over the previous few years. 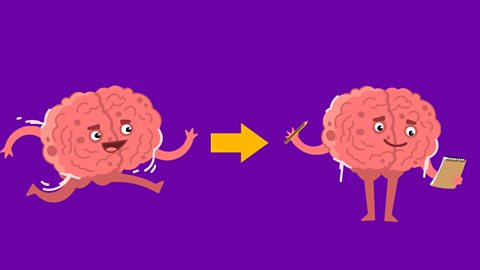 Mental Health: Using exercise to treat depression. During mental health awareness week, we consider what clinicians can do to help support mental health. 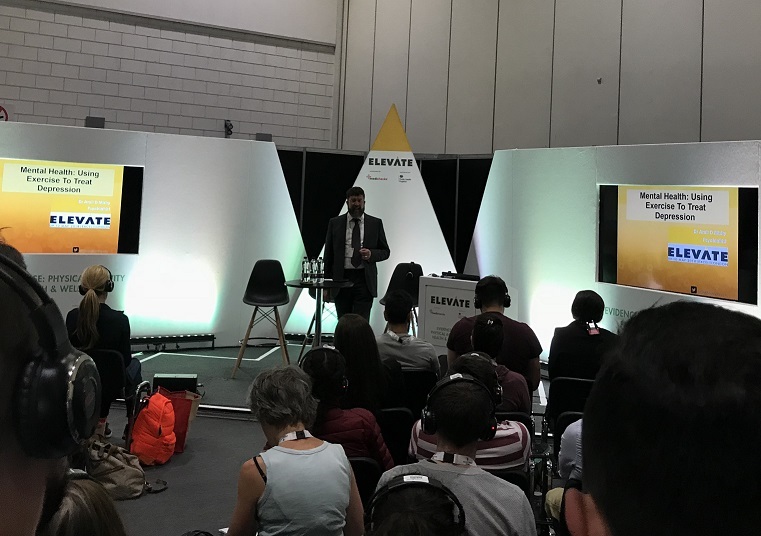 Dr John Morgan, BASRaT Executive Committee Member and GP, recently presented on Mental Health: Using exercise to treat depression. Many of us exercise simply to feel better, in a study by MIND, 83 per cent of respondents said they exercised to help lift their mood or reduce stress, while 70% of gym users with no mental health issues thought their mental wellbeing would suffer if they didn’t exercise. The benefits of physical activity go far beyond this simple feel good factor: it’s now known that exercise has a significant and measurable impact on preventing and treating depression and other mental health issues. The ethos of John’s clinical practice is that he works towards raising the profile of physical activity for the prevention, treatment and management of long-term conditions. The innovative model of 'Exercise on Prescription' at his Medical Centre has received national recognition, it incorporates a gym with cardiovascular equipment and an aerobics studio, available for use by his patients. John is an Executive Committee Member of BASRaT. BASRaT members can now complete a foundation course in Western medical acupuncture. The British Medical Acupuncture Society has recently voted to welcome BASRaT members onto their foundation courses and can now become members of the society. Promotion to the Premier League! 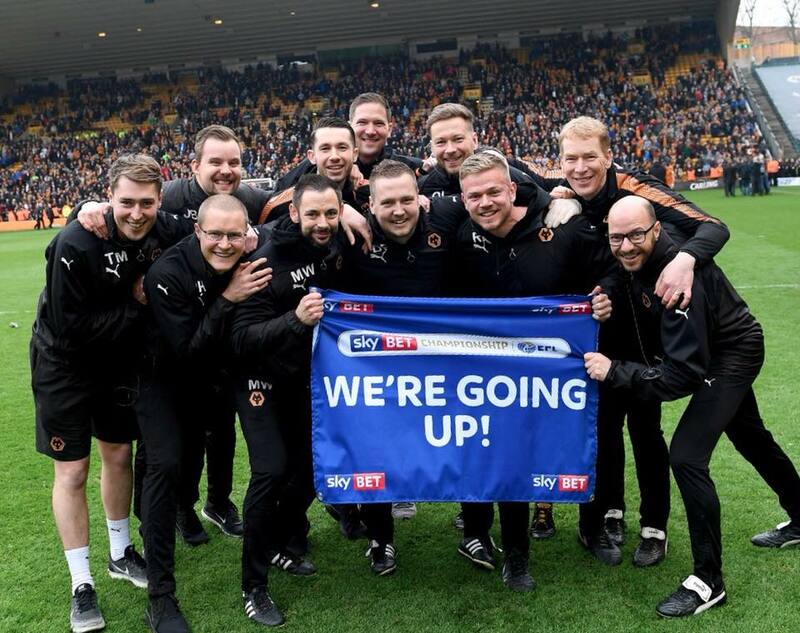 Sport Rehabilitator, Danny Fishwick, shares his joy at being part of the support team for newly promoted Wolverhampton Wanderers. How was the atmosphere on Sunday? The atmosphere at Sunday’s match with Birmingham was immense, the fact we were already promoted helped but to be able to win the game and celebrate promotion after, it was an extremely memorable day. Getting promoted to the Premier League is an amazing feeling, especially to have contributed my own small part to it. Why do you think they have done so well this season? There was a big change in the summer with a new manager bringing new coaches and new ideas to the table. The changes were new to me and the ideas they have brought have been exceptional, the players have adapted and the staff have too. The players play an amazing style of football in each game and have a clear plan which they stick to through thick and thin and ultimately this has brought us to where we are today. The addition of some real quality players has also been a great help to the cause too and lack of injuries this year also. Trafford FC thanked Sport Rehabilitator Jake North, who helped care for Trafford FC player Danny Frost after he was given lifesaving first aid on Saturday. Danny Frost collided with a perimeter barrier and his tongue then blocked his airway in a match at Colwyn Bay. Assistant Ref, Zharir Mustafa, dislodged his tongue and put the player in the recovery position. Sport Rehabilitator, Jake North then gave life-saving first aid treatment to Danny Frost who had suffered a serious head injury. 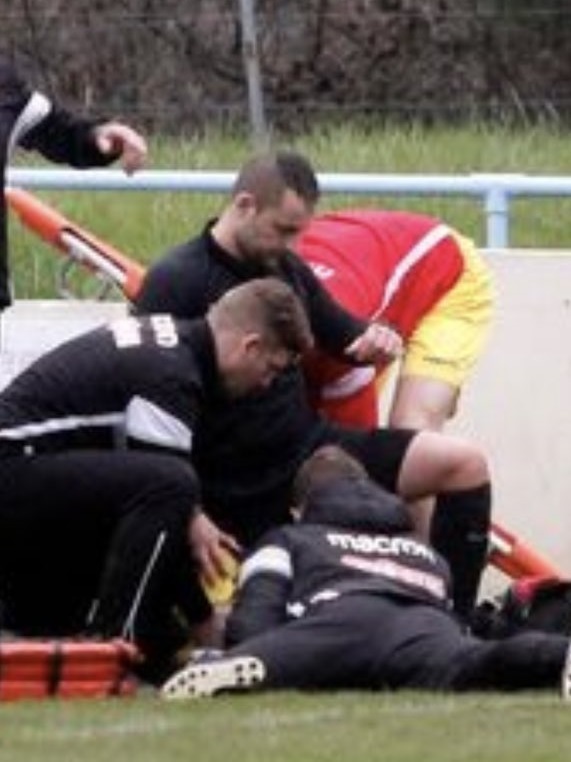 Jake North then carried on providing care for the player until the ambulance arrived. This BJSM podcast by leading clinical professors; Kay Crossley and Peter O’Sullivan, focusses on the patient with long standing pain. This podcast explains the importance of the terminology used by clinicians and the assessment and management of a patient with long term pain. Pain can create fears among patients and consequently, avoidance behaviour. The stigma patients associate with musculoskeletal disorders such as a prolapsed disc is exacerbated by the terminology used by professionals and can alter the way they view their pain. This podcast demonstrates the importance of words on patient’s perception of their condition which can have a huge impact on daily functioning and every day activities. When assessing a patient in pain, one of the most important elements is the psychosocial factors which can contribute to a patient’s pain. Pain can create distress, fear, avoidance and anxiety and looking at how a patient can overcome this in order to be able to perform everyday activities is crucial. Objective measurements involve understanding fearful behaviours and modifying them, so the patient can perform them pain free. When managing a patient with long standing pain, this podcast describes the importance of goal setting which is patient focused and using this to help create your management plan. Further to this, the importance of encouraging movement, natural healing, increasing load, strength and reducing weight are discussed. This is an excellent podcast which demonstrates the important role a Sport Rehabilitator will have on the views and behaviours of a patient with long standing pain. A child’s attention and memory improves after exercise according to new research conducted by primary school pupils and supported by the Universities of Stirling and Edinburgh. Pupils’ best responses to tests came after physical activity that was set at their own pace – exactly what The Daily Mile offers pupils. More than 11,000 school pupils across the UK conducted a scientific investigation to discover the impact of completing a physical activity on their mood and cognitive abilities. "Ultimately, we found that 15 minutes of self-paced exercise can significantly improve a child’s mood, attention and memory - enhancing their ability to learn." Following the run/walk, children’s ability to remember words in sentences improved. "Overall, our study concluded that exercising leads to improvements in children’s mood and cognition"
Dr Moran from the University of Stirling said. This suggests that children should be encouraged to exercise at their own pace during short breaks from class. This exercise should be in addition to normal physical education and when the class teacher thinks the class would benefit the most from a break. The Daily Mile focuses on 15 minutes of physical activity, every day, during which children are encouraged to walk, jog or run at their own pace. The National Institute for Health and Care Excellence recently updated its low back pain (LBP) guidelines with an infographic developed to help interpret the recommendations. The guidelines contain several key directives, which, could significantly impact on the care of patients with LBP. Established evidence-based messages, including the need for more cautious referral for some investigations and treatments including imaging, medication and surgery, are reinforced, with a clear emphasis on self-management. Considering psychosocial factors at an early stage is also advocated, and a shift to targeting care based on a person’s multidimensional risk profile. The article answers the following key questions - Which treatment option for whom? Will baseline screening help? What are the key knowledge gaps? The article goes on to look at questions related to considerations for future implementation, including can clinicians do this? Will healthcare systems facilitate this? And are patients ready for this? We are delighted to announce that BASRaT registered Sport Rehabilitators are now eligible to sit the IMMOFP course for the coming 2018 season. 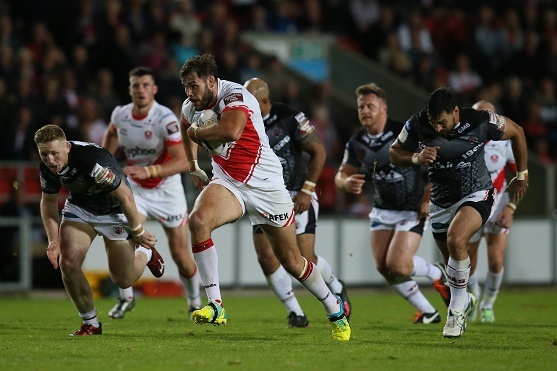 This exciting development brings rugby league in line with the medical standards of other sports such as rugby union and provides our registrants with further opportunities to work in elite sport. The RFL have recently announced that they have broadened the range of practitioners who are eligible to sit the Immediate Medical Management On the Field of Play course in 2018. BASRaT Committee members have been working closely with the RFL to help enable this development. Find out how to book - for BASRaT members only For full information on the RFL IMMOFP course and how to book your place click here. Applicants must hold BASRaT membership. Our Chairman, Steve Aspinall, explains in a blog post for the RSPH website, why the accredited registers workforce has such a vital role to play in supporting the public's health. This resonates even more strongly with BASRaT-accredited Sport Rehabilitators who have been proponents of using physical activity and exercise as both prevention and medicine for a number of years. Physical activity improves sleep, helps maintain a healthy weight, manages stress, improves the quality of life as well as reducing the chances of type 2 diabetes (-40%), cardiovascular disease (-35%), falls, depression and dementia (-30%), joint and back pain (-25%) in addition to reducing colon and breast cancer by up to 20% (1). It makes perfect sense that the strong AR workforce should be in an ideal position to help improve public health; our practitioners spend a lot a time with patients, frequently up to an hour, and develop strong therapeutic relationships that lend themselves to a wider health assessment and interventions for both prevention and treatment. One obvious barrier, especially for patients in more deprived areas, is the current lack of financial support when a patient wants to access AR practitioner services. This is clearly something that needs addressing in light of the financial benefits of keeping our population healthy for our health service and wider economy, and I am sure will be at the heart of future discussions with stakeholders. To support this, members of the AR workforce need more authority to make appropriate direct NHS referrals, freeing up GP time that could be much better used elsewhere; this is something that Sport Rehabilitators already do to a large extent in private settings and it makes perfect sense to review the authority for making referrals in different settings. Going hand in hand with this, is the local development of signposting information for AR practitioners so they have a directory of local healthy lifestyle services to enable appropriate referrals and making the most from every patient contact. From the perspective of BASRaT, healthy lifestyles are directly relevant to the reasons many patients see our registrants. Sport Rehabilitators are trained to support behaviour change, especially as it relates to making healthy lifestyle choices and using PA and exercise as interventions to combat the burden of disease in the 21st century. We look forward to a more integrated and proactive healthcare workforce that fully utilises the registrants of the AR occupations, and a healthier UK! This article proves useful and practical reading for alternatives to arthroscopy, it recommends not limiting treatment to one form of exercise therapy, looks at what will work best for the patient and explores combinations of different exercise therapies. At least 10 randomised controlled trials and a systematic review attribute knee arthroscopy with a clinically insignificant benefit, and shows no benefit when compared with a cost-effective, supervised exercise therapy programme. The article covers information that practitioners need to know about their patient, weight management and what the patient should expect as part of their treatment. A recent survey illustrated a lack of knowledge of current guidelines to recommend supervised exercise therapy and education. 44% of respondents were unaware of evidence against arthroscopy. The article recommends engaging with the evidence, attending courses to increase knowledge base and having confidence to provide appropriate exercise therapy. Key things to do now, to help patients, provides the summary of this very useful piece. The Daily Mile reaches Hawaii - aloha! The Daily Mile is going from strength to strength with schools in 30 countries now participating, including Kamalii Elementary School in Hawaii and schools in Indonesia, Honduras, Egypt and Dubai. The Daily Mile Foundation will keep working on expanding internationally, supporting schools from around the world to join the movement. 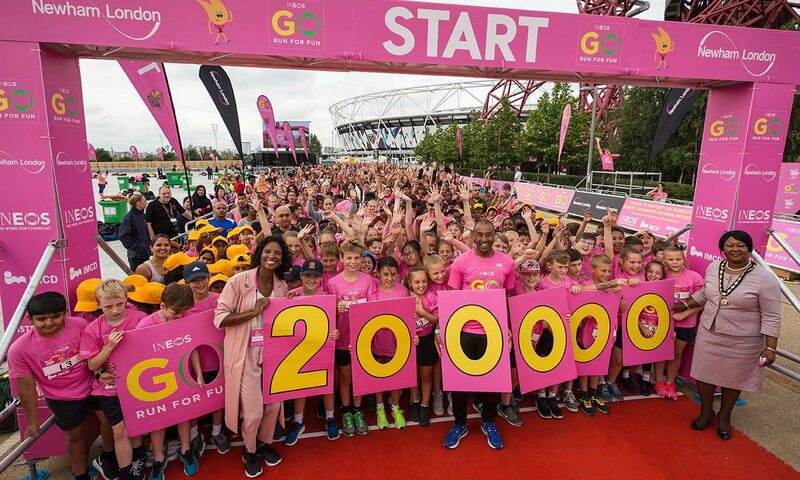 Alongside GO Run For Fun, the world’s largest children’s running initiative, The Daily Mile Foundation brought together 5000 primary school children from London and across Britain to take part in a 2 kilometre fun run in June. VIP guests including Olympians Denise Lewis and Colin Jackson cheered the children on at the event at the Queen Elizabeth Olympic Park. The Scottish government will work with The Daily Mile to look at increasing participation in schools and nurseries across the nation, with a view to help the Scottish Government achieve their ambition of becoming the world's first 'Daily Mile Nation'. "Our ambition is for Scotland to be the first ‘Daily Mile’ nation with roll out to nurseries, schools, colleges, universities and workplaces across the country, " states the SNP policy for encouraging physical activity. "Every school will be offered help to become a Daily Mile school." A recent study revealed that children who do The Daily Mile do better at school. Sports scientists Fitmedia Ltd monitored 76 year six pupils at Coppermill Primary School in Walthamstow for 12 weeks as they started The Daily Mile. Children who ran The Daily Mile performed up to 25 per cent higher than expected in reading, writing and maths SATs. They were also fitter, more confident and better behaved. The Daily Mile is a popular health and wellbeing initiative, brainchild of former headteacher Elaine Wyllie, encourages children aged 2-11 years to run or jog/walk for 15 minutes every day in their schools and nurseries. In this time, most children average a mile or more distance. The idea is simple and profoundly effective; every child can take part, regardless of their age or personal circumstance and it's not competitive, so every child succeeds. It's free for schools and, most importantly, the children love it! Parents of children who take part in The Daily Mile comment that their children are eating and sleeping better, are stronger and more resilient, and are calmer and more content. Teachers report that challenging behaviour is reduced, that the children are concentrating better and are quicker to settle into their schoolwork. View our case study on Woodfield Primary School (Wigan Case Study) and how The Daily Mile is working well in the Wigan area. The school is a fantastic illustration of the difference The Daily Mile can make. Find out more about The Daily Mile at www.thedailymile.co.uk Or follow The Daily Mile on Twitter (@_thedailymile) and Facebook (/thedailymile.uk). This is a valuable podcast which demonstrates the importance of psycho-social readiness, upper and lower limb quadrants and the kinetic chain in the rehabilitation of a shoulder injury. It explains that the rehabilitation process is about the body as a whole, not solely focusing on rehabilitation of the injured limb. This 25-minute podcast by Jo Gibson, a top physiotherapist and specialist in shoulder rehabilitation and injury, focuses on recurrent shoulder injuries, pre and post-surgical rehabilitation, understanding psychological and psychosocial aspects alongside the emotive processes and apprehension. In the podcast, Jo focuses on the importance of a pre-op assessment in terms of taking time to check the player’s understanding of their injury, the importance of listening to the patient and in turn understanding the patient’s psychosocial issues to help them engage in the rehab process. In terms of rehab post-operation, Jo focuses on the need to consider the shoulder part of the whole kinetic chain. It has been demonstrated in contact sports, performance correlates of the upper limb are very highly correlated with lower quadrant performance, so adding kinetic chain exercises can reduce abnormal load on the shoulder. It was also demonstrated that working the unaffected arm at a high level can have a strength increase effect on the operated arm. Jo then focuses on discharge criteria again in terms of psychosocial readiness and the upper limb and kinetic chain. Some examples of tests used for return to play include the upper extremity Y balance test and closed kinetic chain upper extremity stability test. 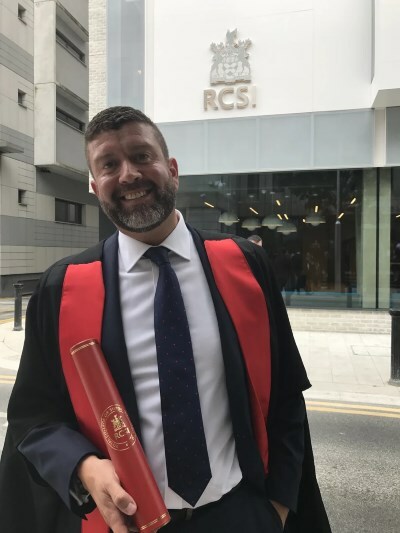 Dr John Morgan, Clinical Director of Bucket and Sponge Medical Services and BASRaT committee member, has been made a Fellow of the Faculty of Sports and Exercise Medicine of the Royal College of Surgeons of Ireland and The Royal College of Physicians in Ireland. The award was made on 10th July 2017, to mark his outstanding contribution to sports and exercise medicine. Dr Morgan, who has been practicing medicine for 19 years, is also a GP at Pennygate Medical Centre in Hindley, Wigan. Additionally, he is director of both Dr1ve Medicals (providing medical examinations for commercial drivers) and of Enrich Aesthetics. Well known in the world of sport, Dr Morgan has acted as Physician to Lancashire Rugby Union and to Warrington and Widnes Rugby League Clubs. He is the current doctor of Orrell Rugby Union Club, Leigh Centurions Rugby League Club and of the Ireland National rugby team. "It is an honour and privilege both to receive this accolade and to support and care for all of my patients within sports medicine and general practice. The work we have done in raising awareness that increased levels of physical activity can both prevent and treat disease has enhanced the lives of many people." Dr Morgan joins a list of Fellows who represent the most respected sports and exercise experts in the country. He offered his congratulations to all other new Faculty Fellows and said: "During my career in medicine I have lived by the maxim that learning is lifelong and I have continued to learn and develop new skills, that has helped spur my interest in medicine and make me the person I am today." 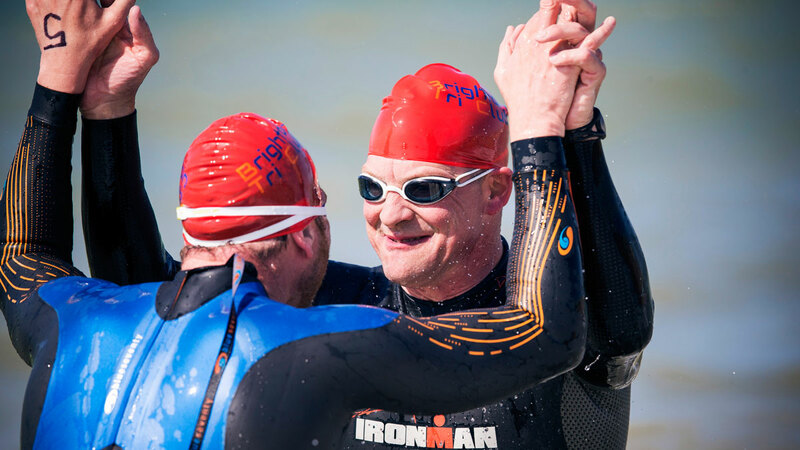 Swim England's study of over 80,000 people showed that swimmers had a 28% lower risk of early death and a 41% lower risk of death due to heart disease and stroke. The independent report demonstrated the health benefits of swimming. Swimming is great for physical and mental health from as young as 3 months to 65+ years. A literature review demonstrates the individual physical health benefits on the cardiovascular, cardio metabolic, neurological and pulmonary systems, MSK health and benefits to specific populations such as disability, elderly and women. A systematic review demonstrates the effects of swimming on wellbeing and further systematic and literature reviews demonstrate the physiological effect, benefits to communities, public health benefits and swimming as a sport. This report containing a vast amount of up-to-date literature, evidence based research and information. There are huge benefits in incorporating swimming into rehabilitation such as individual therapy sessions, recovery, hydrotherapy or training sessions. A small team led by triple amputee, Andy Reid are taking on a major physical challenge. Andy and Glenn Hughes, a former comrade, will cycle 500 miles from Lytham to Devizes and kayak 100 miles from Devizes to Westminster as they visit the graves of 6 soldiers killed on March 6th 2012. Visit www.warriorchallenge2017.com to find out more and click on Donate.